Here are vegetarian recipes to celebrate Chinese New Year or New Year's Eve, from appetizers to main dishes. A fun appetizer - the "seaweed" in this recipe is actually bok choy that has been briefly deep-fried until it turns crispy. Toasted sliced almonds add extra flavor. These potstickers are loaded with vegetables such as carrots and water chestnuts. They taste great alone or you can serve them with a ginger and soy dipping sauce. You may have heard of California rolls, with roasted seaweed wrapped in sweet seasoned rice. 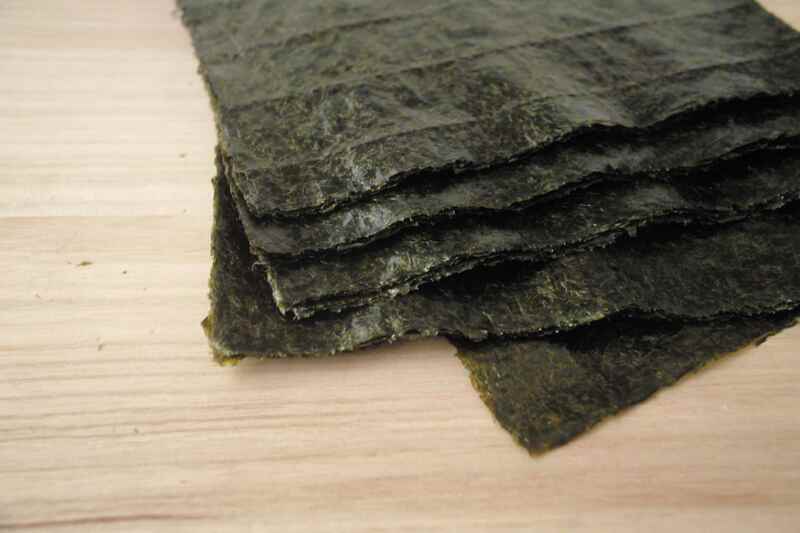 In this recipe roasted dried seaweed (Yakinori) is wrapped is softened and seasoned sheets of dried bean curd (available at Asian markets). Bean curd and seaweed are shaped to resemble oysters in this tasty vegetarian dish. Walnuts take the place of pork ribs in this stir-fry recipe with pineapple, carrots and sweet and sour sauce. Beef flavored soy crumbles make a convenient substitute for ground beef in this party appetizer. The Chinese believe eight is a lucky number - what can be luckier than this healthy dish filled with vegetables and peanuts, with wheat gluten and spicy pressed bean curd (available at Asian markets) for protein. Made with mashed tofu - vegetarians who forego eggs can replace the beaten egg with 1 tablespoon oil. Cabbage leaves are filled with carrot, water chestnut, mung bean sprouts and other vegetables. Originally, all spring rolls had a vegetable filling, in celebration of the Spring harvest. In this recipe the rolls are filled with thinly sliced carrot, bamboo shoots, sweet red bell pepper and dried black mushrooms, flavored with oyster sauce. To turn this into a vegetarian appetizer, use vegetarian oyster sauce.